What is the purpose of the Standard Plastic Containers? The standard plastic containers are storage bins that are great for storing medium to small items. They come in an array of sizes, so there's no limit to the things that can be stored in them. They also have hook attachments for the back of the bins so they can be hung on walls and used to easily access the items within them. This makes them a great addition to any office or workplace where people are going to make use of smaller objects frequently. Someone in a workshop may need to use several different screws on a regular basis, and if they are all hanging on the wall in easy to identify bins, then they will never have any trouble locating the items they need. Increasing efficiency is the main goal of any workplace, and the standard plastic containers can definitely help with that. 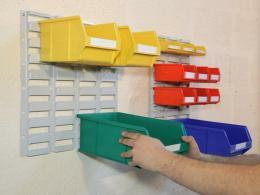 This product is perfect for use in an office, a workshop, a mailroom, or even in someone's personal garage. 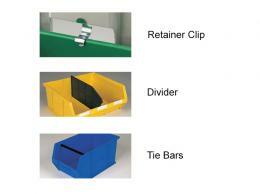 Many people work on projects at home and want to be able to get the job done quickly, and these bins can help. Not only do they come in a variety of sizes, but also in several colours as well. This makes it easy for a person working to identify what they need and get it quickly. If everything they need is stored in one container, they may spend an extra few minutes looking for the right object and waste valuable time. This is important to people in a workplace, which is why these bins are great to have around. Not only can they be hung on a wall with the hook attachment, they can also be stacked on top of each other. 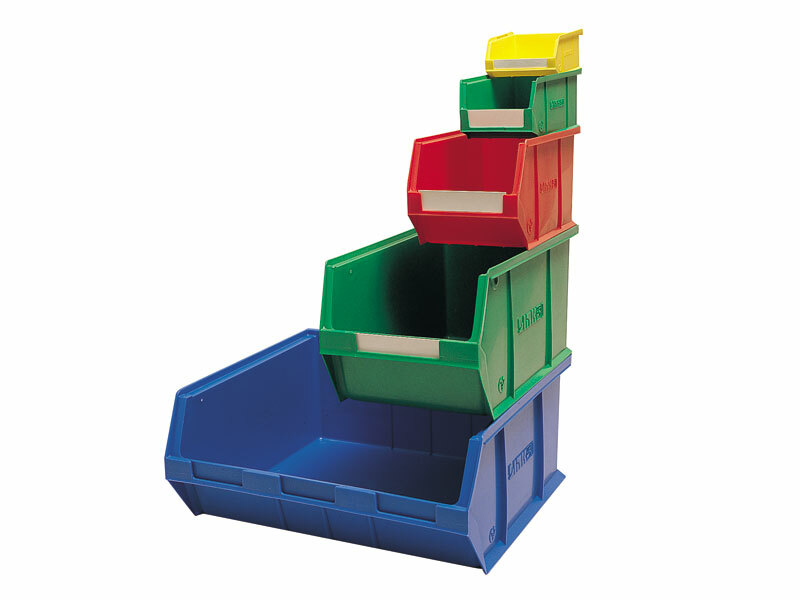 Even smaller sized bins can be stacked on top of larger ones perpendicularly. People who are going to be working with small objects can definitely make use of this product. Also, people who want to keep things organized can make use of them as well. Some people want to keep their home organized and know where things are at all times, and these bins can make that happen. They will primarily be used in a workshop, but they can be utilized for so many other things as well. 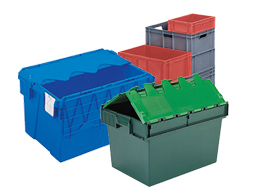 The standard plastic containers come with a 1 year parts and labour warranty. They are also made of a tough co-polymer and propylene, so they are very durable and won't easily break if they are dropped.